Presented to individuals who demonstrate extraordinary service and philanthropy to Baylor or to causes that fit our mission as a Christian university. Ed Crenshaw learned as a student at Baylor that building strong relationships meant taking time to get to know someone and understanding what was important to them. At the side of his KOT sponsor and mentor, Dr. Robert Packard, Ed learned that real leaders draw the best out of each person they meet. These are principles Ed continues to employ today as CEO of the Florida-based Publix Super Markets chain - a Fortune 500, employee-owned business consistently ranked among Forbes Most Admired Companies. While at Baylor, Ed served as president of Student Foundation, travelling the state to share the Baylor story in churches and schools and talking with donors about the importance of scholarship support. 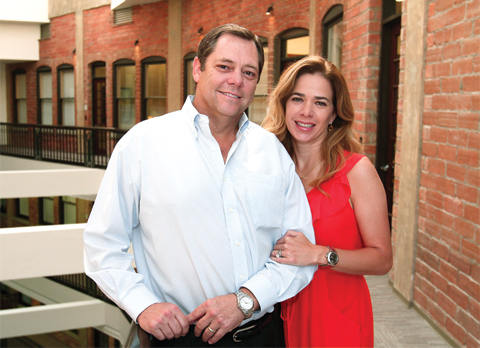 Giving back is a habit and a lifestyle for both Ed and his wife Denise. They are active in United Way in their Lakeland, Florida area and are members of the Lakeland Regional Medical Center board and foundation. 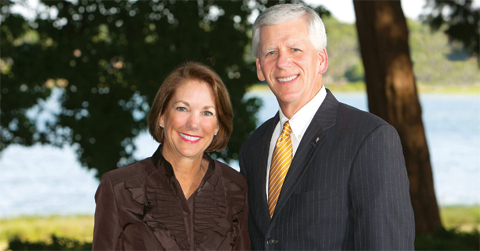 Denise values the distinctive mission of Baylor, and the Crenshaws have generously supported the university and provided the naming gift for a new Student Foundation Building. They now serve on the President's Scholarship Initiative Steering Committee and continue to give faithfully to student scholarships. They are members of the Old Main Society and Presidents Club and received the Huckins and Pat Neff Medallions as members of the Medallion Fellowship. Paul and Alejandra Foster share a belief that our future depends on the education of our youth and have dedicated themselves to giving generously to empower others. Paul, a brilliant businessman, now serves as executive chairman of Western Refining, the largest publicly traded independent oil refinery in the U.S., but he began at Baylor pursuing a premed degree. Paul was a member of Sigma Alpha Epsilon fraternity where he was greatly influenced through his interaction with the group's sponsor, Dr. Terry Maness. Paul was also a member of Student Foundation. These experiences helped shape his career and his commitment to giving back to Baylor and to strengthening his community. Alejandra grew up in Mexico, attended college in Monterrey, and graduated with a degree in engineering.Alejandra has devoted her career to uniting communities and developing economic tools for their success. Passionate about helping west Texas and Mexican border communities, the Fosters are active participants and generous donors in El Paso and Juarez. Paul funded development of the Paul L. Foster Success Center at Baylor in 2007 - home to academic support and career development services - resources that have benefited countless Baylor students. Paul and Alejandra are also Baylor Stadium Founders - providing generous support that has launched construction of our new on-campus stadium. 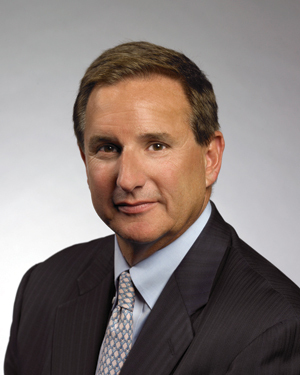 Mark Hurd was drawn to Baylor for an opportunity to play tennis. He found his place off the court at Baylor as well, making friends and joining Phi Delta Theta fraternity. For Mark, Baylor was a training ground for what has been a remarkable business career. Mark often recounts the challenge of learning to manage time for tennis practice, a full academic load, and fraternity activities. It taught him the value of time management and organization. Mark also recalls the impact of a class he had with Dr. Clifton Williams in which he first considered the difference between management and leadership. That is where Mark began to formulate his leadership philosophy and understand how to translate the team concept from the tennis court to the boardroom. Mark serves as co-President of Oracle Corporation where he oversees one of the world's largest enterprise technology companies with more than 390,000 customers in 145 countries. Giving back to Baylor continues to be a priority for Mark who often speaks to students of Baylor's Business School, while also supporting the Baylor Bear Foundation and athletic excellence funds. With an eye towards bringing an NCAA men's and women's tennis championship tournament to Baylor and maintaining Baylor's tennis programs among the nation's elite, Mark and his wife, Paula have made generous gifts to upgrade and renovate facilities at Baylor's Hurd Tennis Center. Thank you Mark, for your generous support for your alma mater and for future generations of Baylor Bears. Attending Baylor was a dream come true for Anita Jones. Only the second child in her extended family to attend college, Anita's aunt was also a Baylor graduate. Anita's mother, a strong influence in her life and not a college graduate herself, encouraged Anita to pursue her dreams and receive a quality education in a Christian environment at Baylor. As she was graduating and entering the workforce, Anita recognized the burden that college expenses and student loans placed on her family as other siblings enrolled at Baylor. It was then she resolved to financially assist other Baylor students when she had the means to do so. Anita and her late husband Dale, a former executive at Halliburton, lived in England and Oklahoma before settling in Dallas where Anita became an active volunteer. While she serves on the board of directors for her family foundation, she also places a priority on involvement with Baylor. Anita has fulfilled her desire to support students, establishing numerous scholarship funds at Baylor. 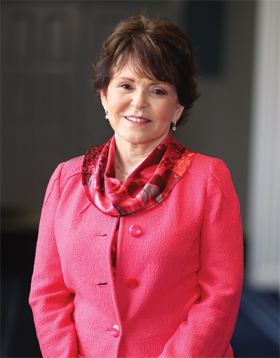 She serves on the advisory board for the School of Nursing, established a Success Center to provide nursing students with valuable services such as tutoring, academic counseling and mentoring, and is active in the Baylor Women's Council of Dallas. She is a member of the Endowed Scholarship Society and The Medallion Fellowship, having been previously honored with the James Huckins Medallion.